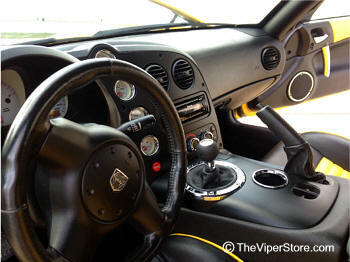 One of the few things that can be improved on the Dodge Viper is the length and feel of the shifter. The new SRT10 is no exception. 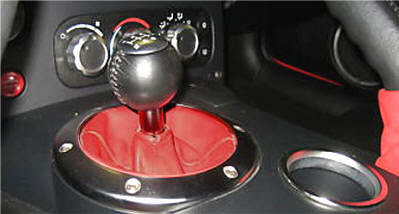 Here is offered the perfect solution with this line of short throw shift knob. 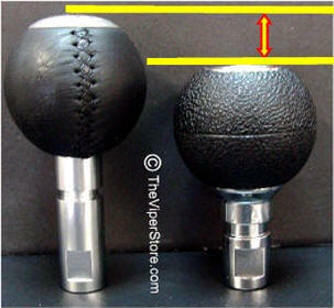 The Gripper shift knob is our most popular knob due to its great feel and classic good looks. 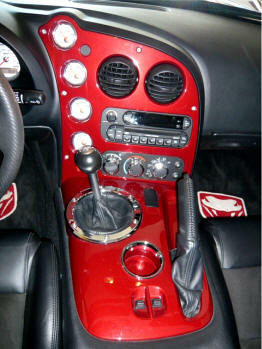 This newest rendition to give the shift knob for the SRT an awesome look. Each knob is CNC machined from solid aluminum and then " Pearl Bright " chromed to perfectly match the interior accents in the SRT10. 15% Faster Shifts - Less throw! 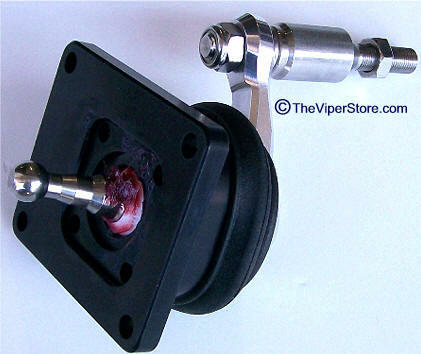 (Includes new screws) To get the quickest shifts in your Viper, you really want to get the shift knob set as low as possible. This shortens the arc length of each shift and gives a better feel for where the shift gates are. The only problem is, the factory bezel is too bulky and sits too high which scrapes your hand when shifting. 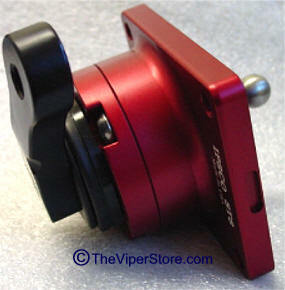 This new high quality CNC machined low profile shifter bezel is just the ticket to get the lowest shifter knob possible in your Viper SRT 10 without slamming your knuckles on the bezel lip. 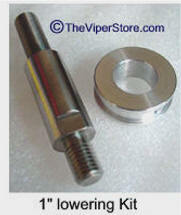 Offered in polished chrome or in the pearl bright satin finish. 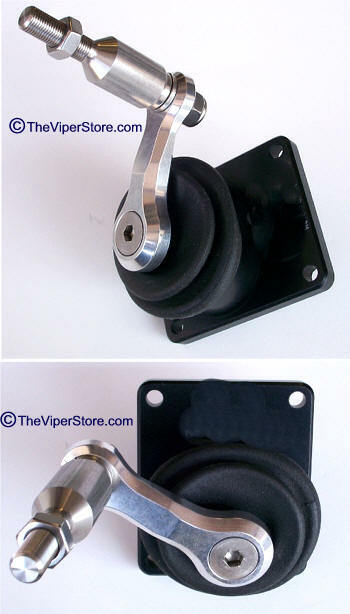 Use factory original knob or one of our Shifter knobs above top of this page. 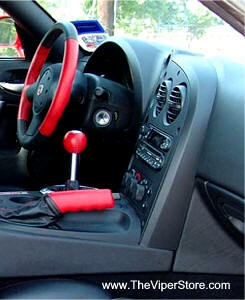 We've have tried all the aftermarket shifters on the market and this MGW one is the best. Billet construction, positive gates and a shorter throw than stock. 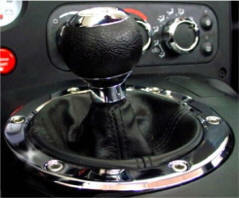 It clicks right into each gear with minimal effort and removes the vague feel of the factory shifter when up shifting. 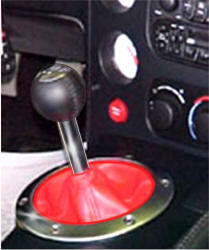 Knob not included - factory knob can be used. 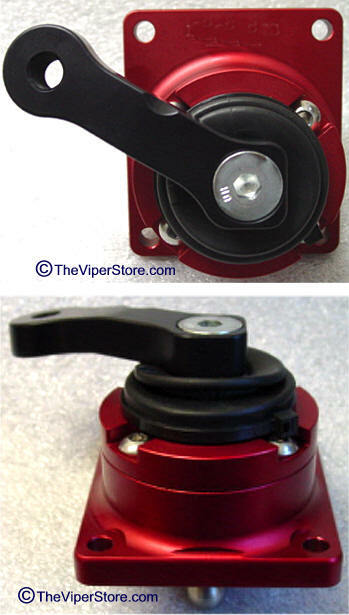 Utilizing state of the art materials and design components this shifter has been engineered to offer both short throw and ease of shifting for all gears. No more hard pulling left to right to find reverse and 1st gear but still offers positive return for finding 3rd gear every time. Made in America. 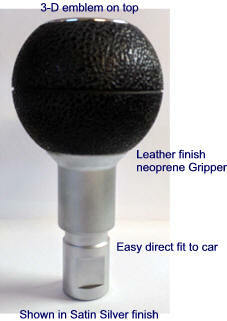 High quality leather replacement shifter boots. Available in Red, Black, Blue or Yellow. 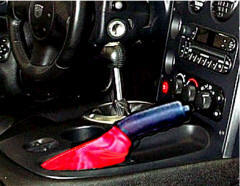 Dodge factory special order part black shifter boot with RED stitching. 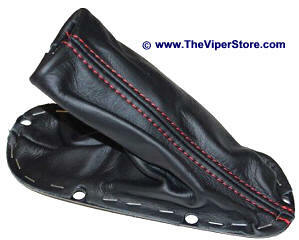 Dodge factory special order part black e-brake boot with RED stitching. 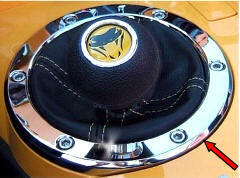 Dodge factory special order part black e-brake boot with Blue stitching.